Last weekend, Sanzhar Altayev, a Kazakhstani entrepreneur shared a video on YouTube of his Model S driving through a flooded tunnel in the city of Almaty. 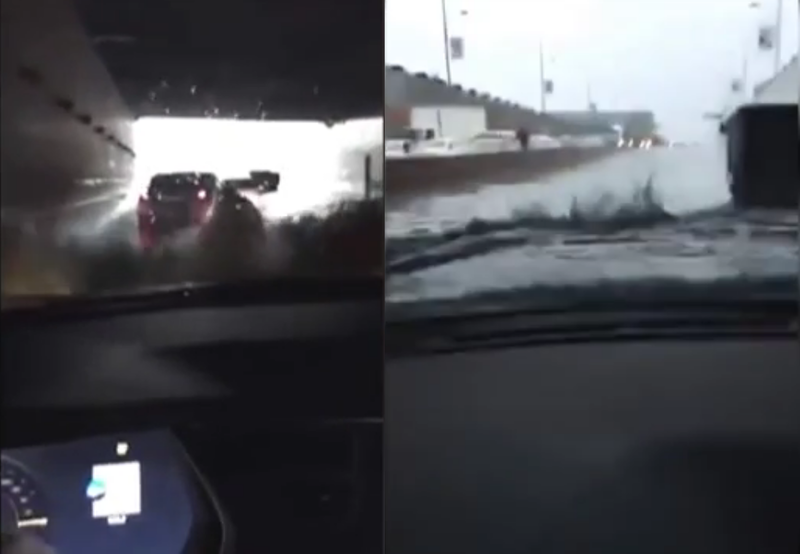 The car was able to float and move through the tunnel to the other side under its own power, then drove off via its wheels as the underpass sloped upward while regaining traction on the road again. The news didn't stop there, as Elon Musk responded to electrek.co's article on the matter by confirming that the Model S is able to float briefly and thrust its wheels in water thanks to its sealed drive train and battery. However this is not recommended by Tesla. A long submergence of any vehicle in water - especially if it is saltwater - will accelerate rusting and corrosion. Insurance companies tend to declare the vehicle a total loss and send it to the crusher if water reaches the floorboard, they do this in order to prevent junkyards from salvaging any parts that are prone to failure. Luckily, the lack of combustion engine and exhaust in an electric car, and especially in a Model S, makes the car more resistant to water for a short period of time. The fact that Tesla reached Kazakhstan already speaks volumes as the company does not have any presence in central Asia yet. Elon also hinted his interest in a side project for making a sports submarine car that can drive on roads with what he calls a "limited market potential." Back in September 2013, Elon bought James Bond's iconic Lotus Esprit vehicle from The Spy Who Loved Me for £616,000 in an auction in London with the intention of making its movie transformation from car to submarine a reality.